Without a doubt, Australia is one of the most amazing countries to explore. Full of natural wonders, unique wildlife and dazzling beaches. 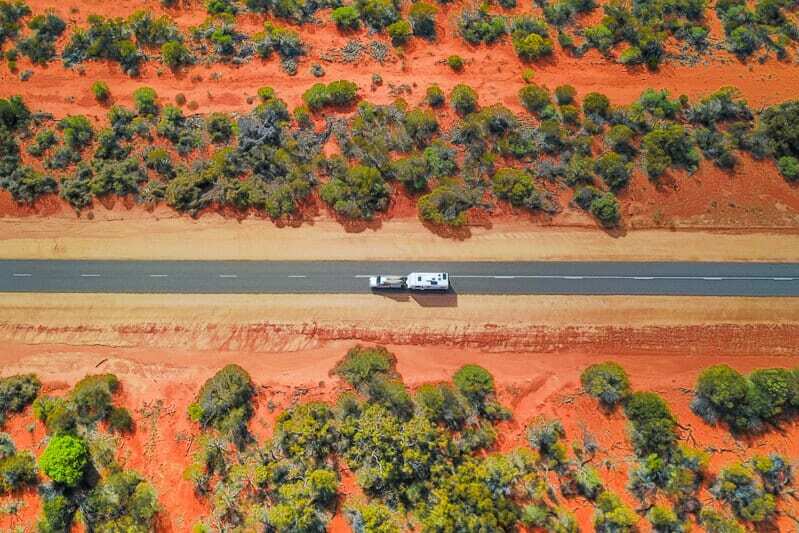 There is so much to see and do, and what better way to go travelling around Australia and explore this famous sun burnt country, than cruising at your own pace towing a caravan. 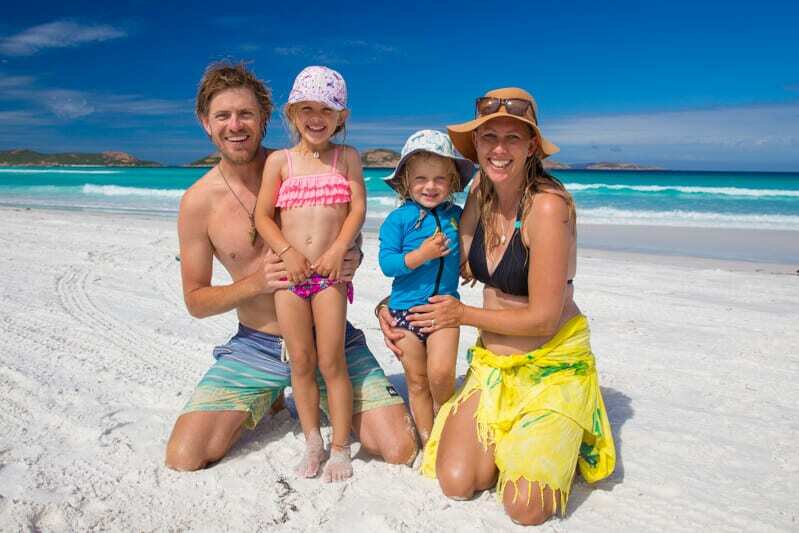 Our family of four has been driving around Australia and living in our home on wheels for over nine months and love the freedom and adventure that this lifestyle presents. 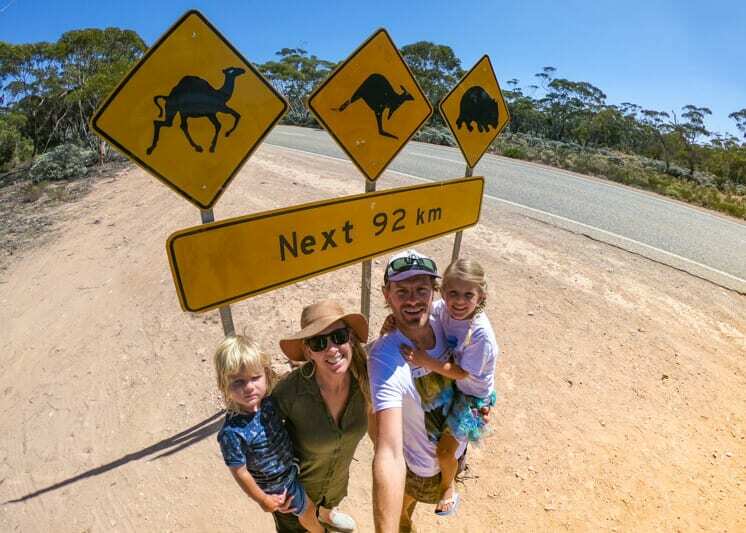 If you are keen to see what nomad family life is all about and are planning your own dream trip around Australia, then we have some tips to help you get started and hit the wide open road. 1. How will you roll? 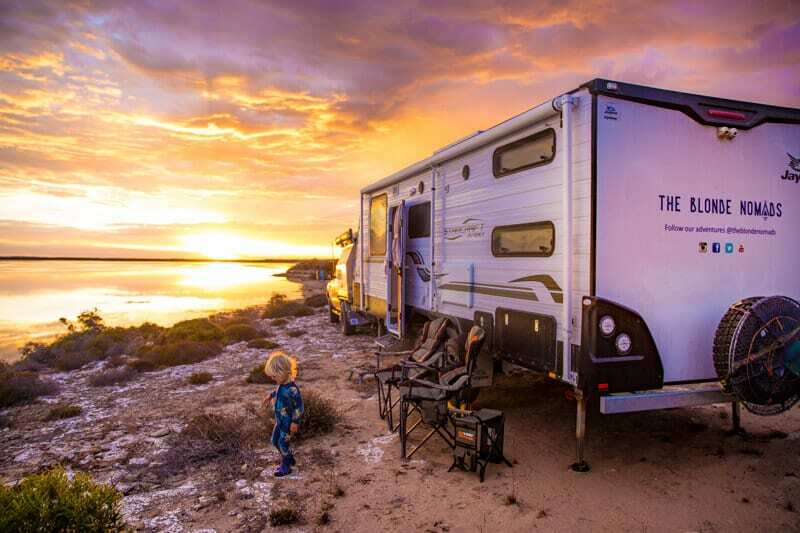 The best foundation for a safe and successful adventure is ensuring you have a reliable, comfortable, well-serviced tow vehicle and caravan/camper trailer. 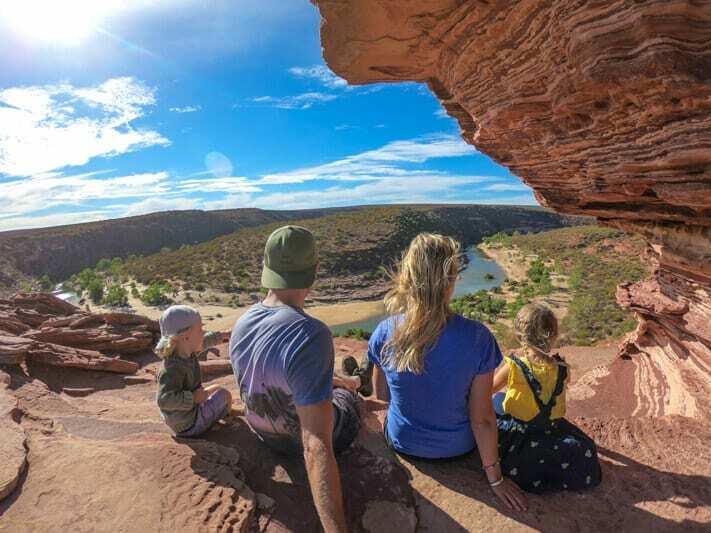 There are so many set-up options available to road trip Australia, and ultimately it’s a matter of finding the right combination that suits you and your family. Before you pack up your home, take the time to do your research. You may want to consider your travel plans, your budget and the kind of lifestyle you wish to enjoy whilst on the road. 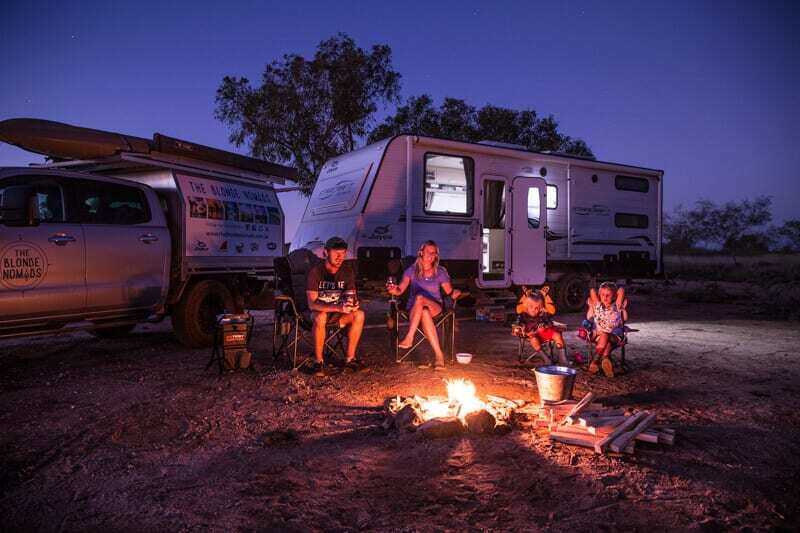 We found that with each caravan or camper trailer option, there is always an element of compromise, so make sure you prioritise what’s most important to you. As we have young children (aged 2 and 5 yrs), we wanted the option/luxury of being able to pull up to our destination and just ‘step in’. Our beds are made and we have a full kitchen and en-suite with a shower and toilet. We just love our little home and it works wonderfully for us. The compromise for this, however, is that we are towing an 8.5 metre, 3 tonne, box on wheels as we travel Australia…and that uses lots of fuel. We are also limited as to where we can tow our home. As we like to explore remote ‘off-road’ locations as we drive across Australia, we also decided to travel with a tent onboard which works great for our mini adventures away from our caravan. You can see a tour of our caravan here or our tent set-up here. A great place to see all the different caravan/camper trailer models available and chat to the experts is at your local caravan and camping show. 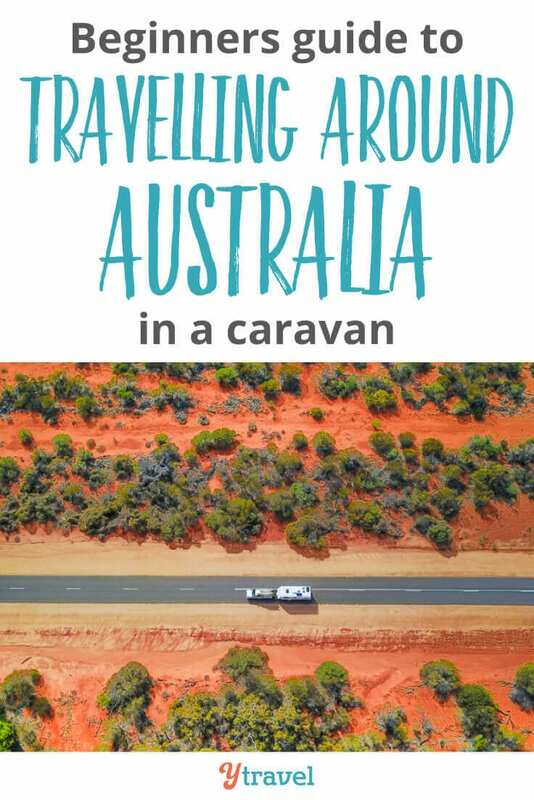 I don’t want to sound like a ‘stick in the mud’ but the process of travelling around Australia in a caravan is not something to take lightly. There are strict rules in place for caravanning to ensure you are travelling safely. When driving in Australia, there are regulations on how heavy your caravan can be as well as the type of vehicle you can tow it with. Add in the concentration and skill needed for towing something so large and you have a whole heap of safety factors to consider. You need to take the time to ensure you are well educated on this. In preparation for your trip make sure you do not overload your caravan with too much ‘stuff’ and you could even take a caravan towing course. Whether you turn left or right out of your driveway usually depends on the seasons you plan to travel, how long your trip will be and where you will leave from. 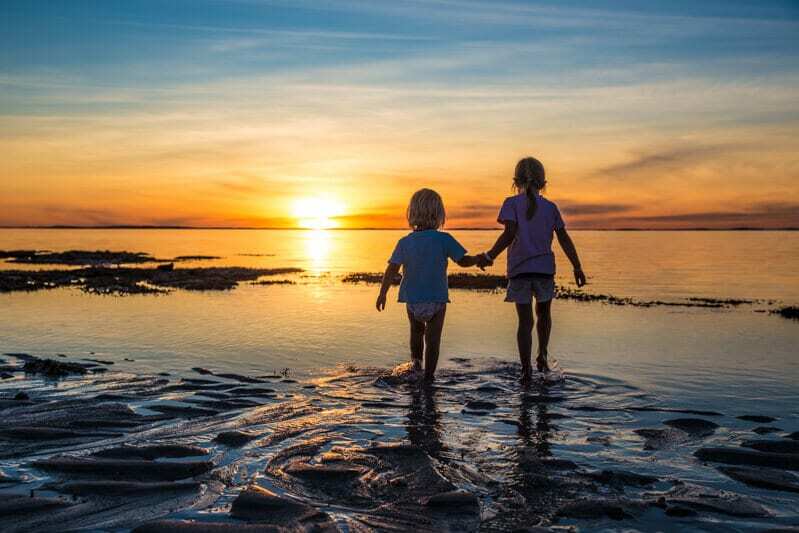 The northern section of Australia has a more tropical climate which is hot and humid in the summer with a wet season, and quite warm and dry in the winter, while the southern parts are cooler – with mild summers and cool, sometimes rainy winters. 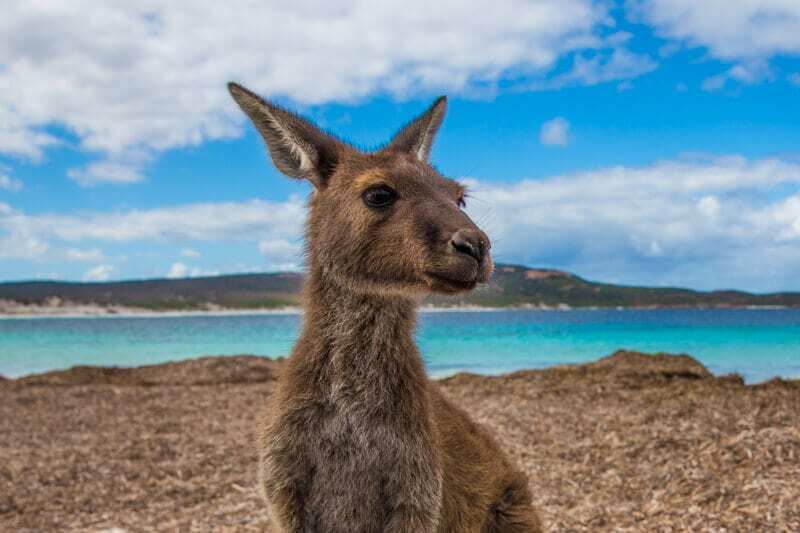 If you’re doing the big lap of Australia, ultimately you want to be up North in winter like the Northern Territory and Queensland, and South for summer exploring places like the Great Ocean Road. 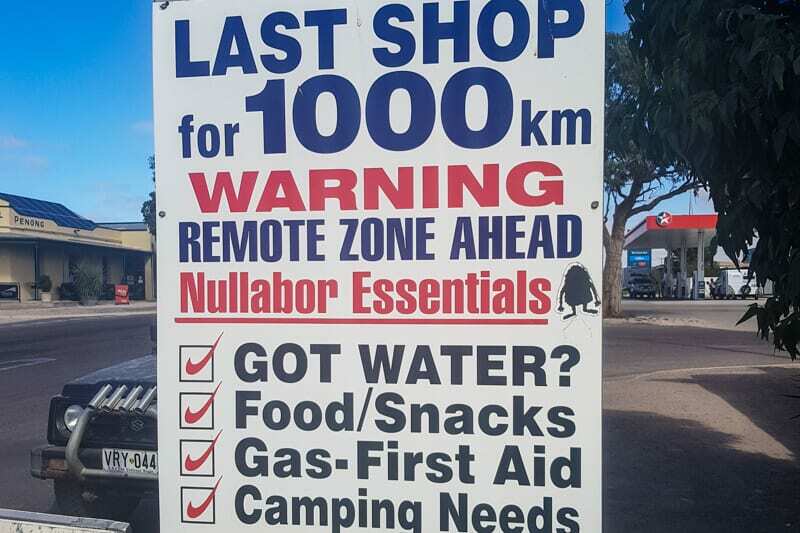 If you are planning on exploring remote areas and travelling Australia with kids like us, you will want to invest in some safety equipment. We carry a satellite phone that allows us to make emergency calls anywhere in Australia. Another option is travelling with an emergency tracking device called an EPIRB or PLB (these small phone sized devices send out an SOS signal to emergency services who will track your signal and come to your rescue). Installing a UHF radio to your vehicle is also a good idea, especially when driving around Australia and visiting remote areas and if you are into off-road adventures and 4WDriving, a winch and/or a vehicle recovery kit is also a good idea. Spare jerry cans for extra fuel may be necessary, as well as an offline GPS navigation system. For our day to day travels, we also carry two First Aid Kits. One larger kit stores our ‘must have’ medical items including panadol and medicines etc. 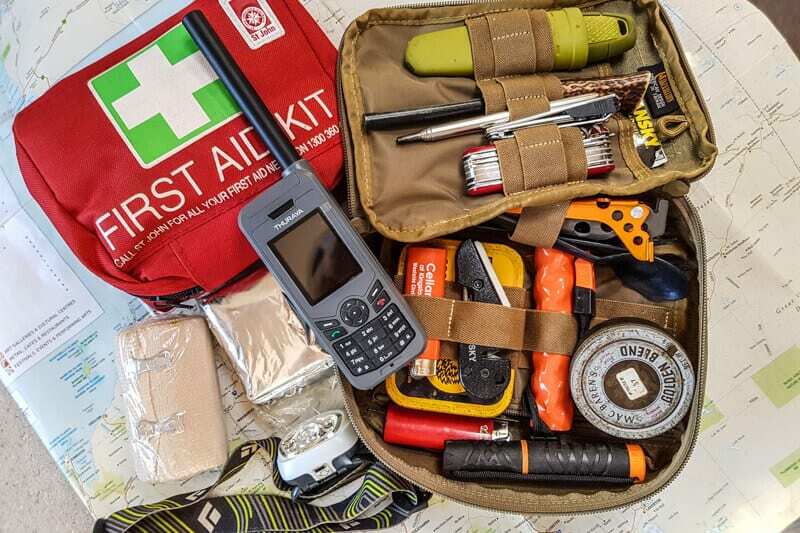 and a smaller kit that we ALWAYS carry on us, especially when hiking, includes simple first aid band-aids, snake bandages, swiss army knife and a space blanket. 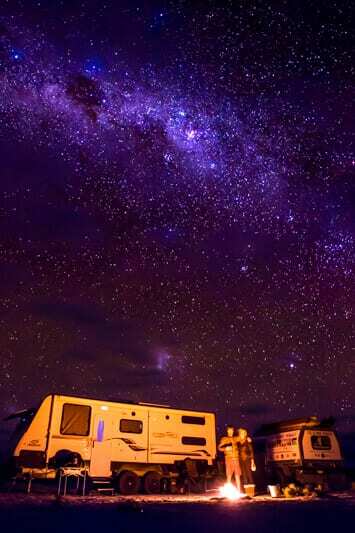 As we travel we stay in a combination of National Parks, free camps and established caravan parks. Once you start your Australian road trip adventures, you will get a feel for what suits you best. 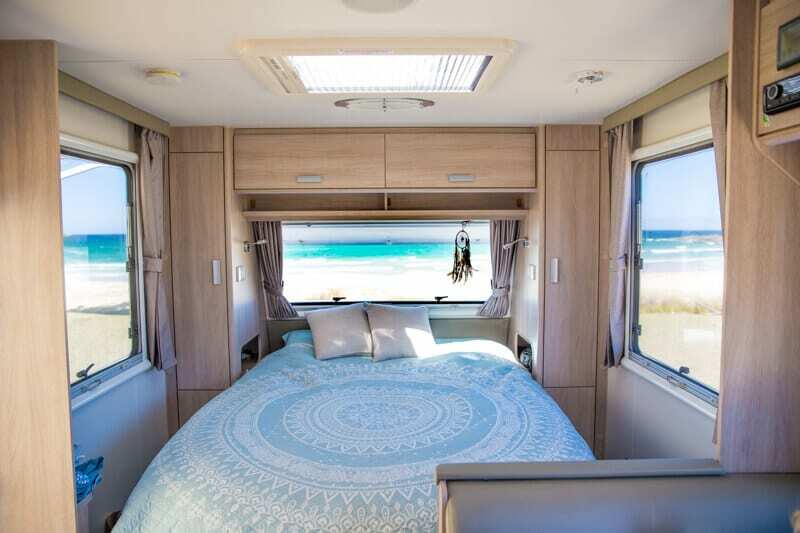 Many people take advantage of the facilities offered in caravan parks like connecting up to power, using the washing machine, charging batteries and filling up with water. Caravan parks usually have play parks, jumping pillows and pools that can entertain the kids but many parks charge an extra fee per child so if you have a few mini adventurers this can start to add up. If you think you will stay in a few of these caravan parks as you travel you could join a loyalty program which gives you a 10% discount each time you stay. But, if you are like us, once you get a taste for remote camping away, from all the crowds and out in nature, you will no doubt embrace as many off-grid camping opportunities as you can. 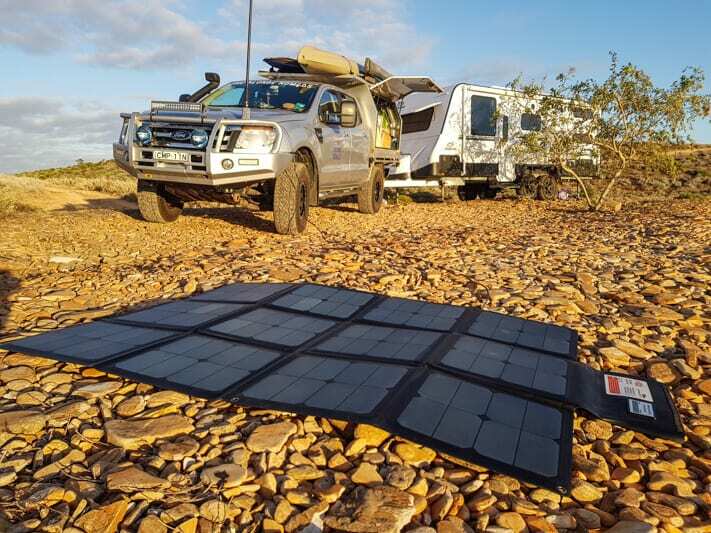 As full-time nomads living and working on the road, the wonderful science of solar power plays a huge part in how we live on our road trip around Australia. Solar Power is the conversion of energy from sunlight into electricity. It has been used as an easy, cost-effective alternative power source for years. 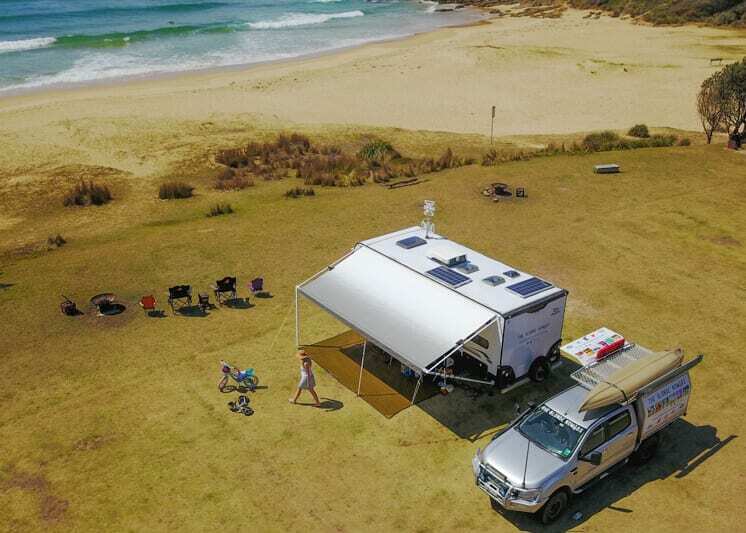 Most modern caravans have a solar power set-up installed that helps run simple 12v items like your caravan lights, without being hooked into power. You may want to invest in a few more solar panels or even a solar blanket and an inverter that will allow you to generate more power for things like charging your camera batteries, your laptop/computer and all those other nifty 12-volt camping gadgets that we all love to use. We explain all about Solar Power with a ‘non-techy’ explanation in a blog post here, and have also created a video you can watch here. As much as you may want to disconnect from the distractions of technology, mobiles and TV while out exploring in nature they do come in very handy at times. There have been some great mobile apps created that can help you on your adVANture. The main app we use in Australia is called WikiCamps. It’s the ultimate camping companion with many elements operating offline so you don’t have to worry about phone reception or WIFI once it’s installed. It has a great map function and lists all campsites from free camps to National Parks and caravan parks. It also includes all the features at each of those locations, for example, if there are water taps, toilets and bins etc. With comments, ratings and photos from other users, it is our go-to app for travelling Australia and for a small fee it is well worth the $$$. Depending on your hobbies, other mobile apps you may like could include Stargazing – which tells you all the constellations in the sky, or bird watching, or even geocaching. Fuel finder and gas finder apps are also popular too. 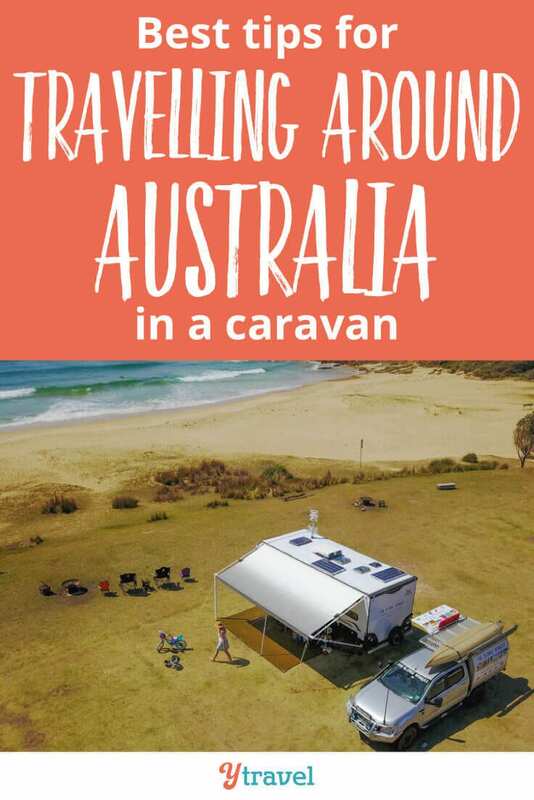 We find Facebook is a great resource for planning your travels as there are some great caravan and camping groups that you can join, allowing you to tap into the experienced travelling community who always love to share their tips. It is safe to say there are many elements you will need to consider for life on the road. With a bit of research and pre-planning, you’ll be on the road in no time experiencing an unforgettable adventure!! See you out there, and be sure to give us a wave! Need More Tips for Travelling Around Australia? 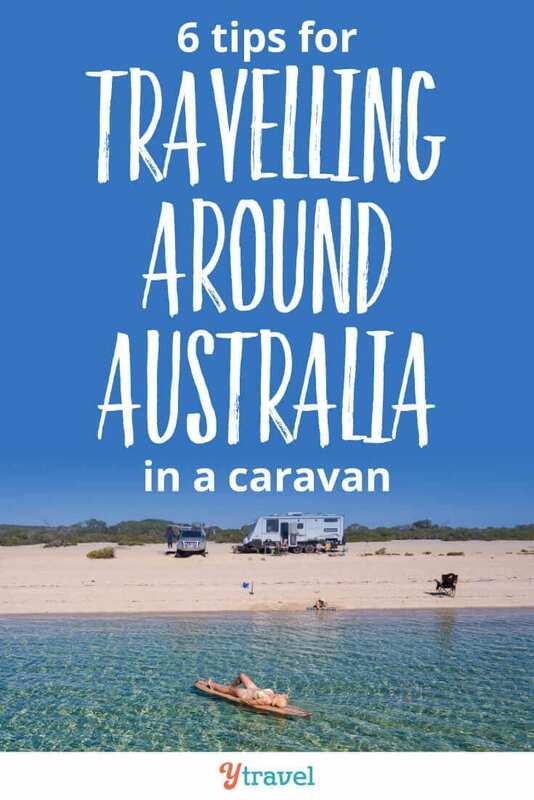 Do you have any tips or questions about travelling around Australia in a caravan? Leave a comment below! Next articleWill this intense grizzly bear fear stop me traveling?